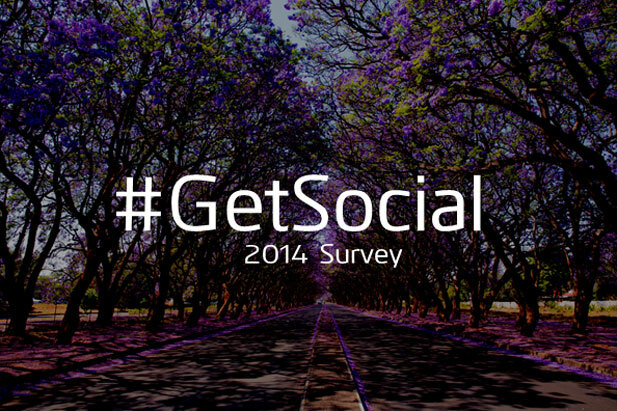 The #GetSocial Zimbabwe Survey 2014 from Techzim is the first in a series of annual surveys on Social Media trends as they happen in Zimbabwe. Social media has become a key medium on which, Zimbabweans interact among themselves and most recently, with Zimbabwean brands. Despite the widespread use of social media in Zimbabwe, there has been little if not any credible information on patterns, use or adoption trends of this media in Zimbabwe. On our part, we have received a lot of requests on social media patterns from some of Zimbabwe’s largest brands and unfortunately, we were not able to provide this data because the information was simply not available. Our objective in this online survey is to capture social media patterns in Zimbabwe and to also capture the most elementary attitudes towards companies or brands that engage the Zimbabwean audience on social media. We are also looking to capture as accurately as possible the demographic patterns between the varying social media platforms. The survey will take you under 5 minutes to complete. As a small incentive, people that complete the survey will be entered into a draw for a Samsung Galaxy smartphone give away as well as several products from the Techzim Store. All responses are anonymous. However, you will be required to enter your email address on a separate page (not linked to the survey) to enter the draw. You can click here to get started with the survey questions. Please do share the page with your friends as would like to collect as many responses as possible. This survey is part of Techzim’s Research Business Services. Been there done the survey, trend setting LIKE A BOSS! Thanks for the feedback, will look into it. Yeah, more people use the social networks to vent anger at the way they are handled by the companies. Example, DSTV may have new services but if you look at the comments, it is not about the new explora or the expanded box office service! where do you enter your email add if you’ve completed the survey ? You should have been redirected automatically after completing the survey. Please send us your Full Name & Email on admin@techzim.co.zw and we will enter you manually.